The refining system is comprised of oil refining tank, drying and bleaching tank, deodorizing tank, crystalizing tank, filter, thermal heater, vacumm system, freezing plant, etc. After degumming, deacidifying, decolorizing, deodorizing, etc., 1-4 level oil can get. The production can be batch type(50T/D max. 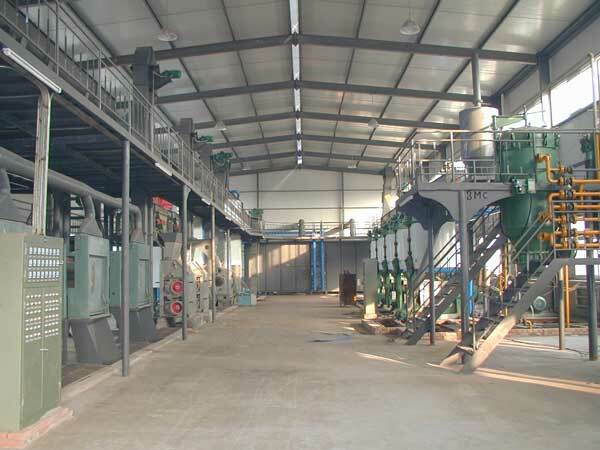 ), semi-continuous type(20-80T/D), full-continuous type(30T/D min. ), according to production capacity and oil quality requirement of customer, appropriate process and equipment can be customized.